The AERGC Invites You to Join. 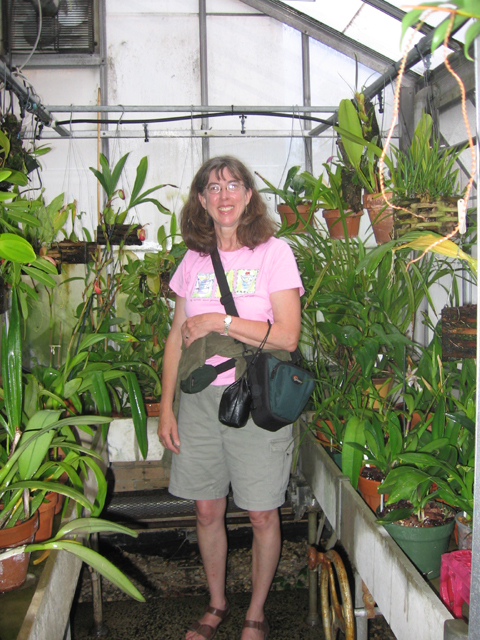 The greenhouse manager at an educational or research institute needs specialized information, rarely available from publications or short courses geared towards commercial plant growers. Our email forum and annual meeting introduce you to people doing the same job as you. Very quickly, a free and easy communication is established that facilitates sharing a wealth of knowledge. Members enjoy a reduced registration rate for the annual meeting and receive online access to the AERGC Newsletter. The AERGC is a great source for finding unusual seed or plants for your collection. A free plant swap is a highlight at each annual meeting, held in different locations in the US or Canada. Job announcements and related links are posted on the AERGC website. Members also have access to the AERGC Newsletter archives available via the web site with 25 years of valuable information. Greenhouse managers at institutes are usually working alone, without a natural peer group at their institution, leading to a feeling of professional isolation. Within AERGC, you are never alone. The tone of our email forum is factual, fun and friendly. Our annual meeting is small enough to get to know everyone over the three days of seminars and tours. Partnering with us in the AERGC are industry representatives of horticultural products companies. They join in order to get to know our work better and share their expertise, knowing that sales will flow naturally from these relationships without the need for a strong sales approach. Membership in the AERGC is currently $25 (US Dollars) for US and Canadian members, and $35 outside North America per calendar year. Membership provides access to the AERGC Newsletter and newsletter archives, AERGC Discussion Forums, AERGC Membership Directory, voting privileges and additional online content such as photo albums and meeting presentations. Only dues-paying members are eligible for the discounted annual meeting registration rate and for travel grants.